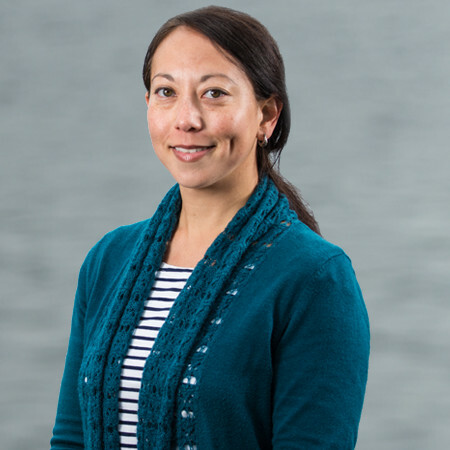 Kim brings more than 15 years of diverse experience in environmental consultancy work in both the U.S. and Asia. She has overseen the operational management of international environment teams, managed and prepared environmental and social impact analysis documents, and conducted sustainability and climate change analyses and biological assessments. Kim holds a bachelor’s degree in Environment, Economics and Politics from Claremont McKenna College in California and a master’s degree in Climate Change and International Development from the University of East Anglia in England. As the Operations Director, she works with managers to closely track efforts across the entire organization, implementing and refining systems to manage capacity, scheduling and project tracking. She also oversees the Science and Restoration team, directing resource planning and facilitating communication among the various functional teams at The Freshwater Trust. Outside the office, Kim enjoys backpacking, swimming and trail running.